In any thriving organization, there are always things going on that are motivated by the passions of the employees that may not become wholly evident to management until they reach a critical mass of ideas or initiatives. Such is the case with this month’s blog post by Philippe Saad, a newly named Associate Principal of the firm. Philippe came to me years ago and asked about doing some marketing in Lebanon in our market sector of senior living. I encouraged him, but explained that he would need to get the ball rolling and push it for a good while because none of us had any contacts or experience there to help him and we were focused on business in the US. Undeterred and full of youthful energy and enthusiasm, he began slowly, as you will see, to build a network and become a conduit to connect others. Simultaneously in Lebanon, there was movement to bridge religious differences in search of a better model of care for seniors. This year it all came together when Philippe was asked to go to Lebanon to speak at a gathering of the Interfaith Eldercare group. Eldercare group is a group that offers Home Care Assistance. Below, follow the story of a young architect finding his calling in making the world more beautiful, functional, and sustainable for seniors, and finding a way to give back to his home country. 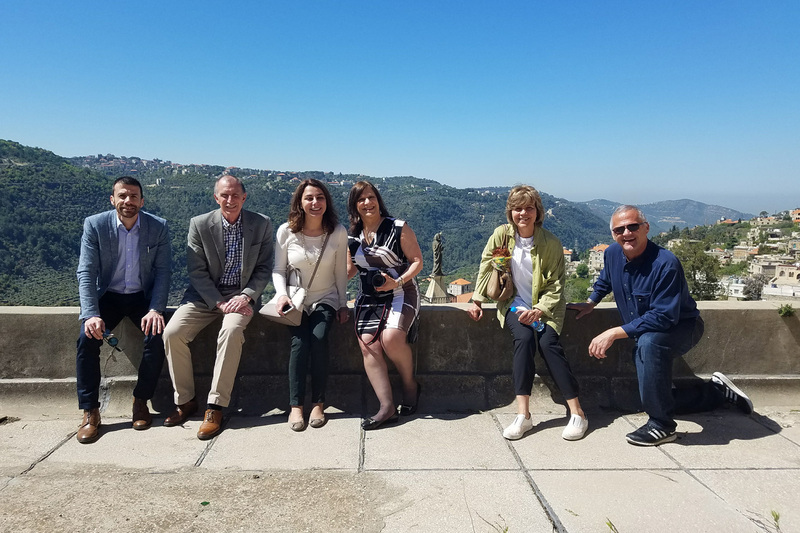 The Interfaith Eldercare Group in Lebanon convened in April, and I was invited to attend and speak about design for seniors–its evolution, nuances and benefits. I still remember when I first made the connection between what I saw in aging communities in my day job, places where residents thrive in supportive environments, and what I knew about elderly “asylums” Ma’wa Ejjaz in Lebanon, a term used to describe the places where the elderly were ‘put’ by their children to live the last few months/weeks of their lives. Being in a ma’wa is still seen today by many as a reflection of elderly abandonment by the family, or a result of one’s terminal illness and last resort. As I was gaining expertise in senior housing over the past 10 years, I was also seeing my late mother’s and my father’s health gradually decline. Their ability and their willingness to socialize, learn new things and even be outside began to dwindle. At the same time, I was meeting 90 year olds living in communities who were singing, performing, planting, getting involved in their communities and falling in love with the new comers! For many years I have been cold calling Lebanese elderly care organizations and talking to development visionaries about the need to enhance and develop their offering. Everyone applauded the concepts we discussed, admired the beautiful examples of the aging communities DiMella Shaffer had designed over the years, but none was willing to take that first step! Believing in this need for Lebanon, I was determined to find a way to challenge the stigma around aging communities in Lebanon, and show how enriching life can be in a senior community. I kept advocating for it on many levels: amongst my Lebanese friends and with my own family, who particularly struggled to find an appealing nursing home for my grandmother who needed a new 3 wheel walker at the same time when she could no longer be cared for at home. I also had many conversations with US-based organizations who had started lending their expertise to other countries, in particular China, hoping to find a way to do the same with Lebanon. As stubborn and dedicated as I am, I kept nurturing those relationships for long periods of time, through simple emails, sharing articles, phone calls, or a coffee during my visits to Lebanon. I remember almost 4 years ago, taking a trip to Dallas, TX with very short notice, to show Maha, director of the Greek Orthodox Nursing Home whom I had communicated with numerous times before, The Legacy at Willowbend, a luxury community DiMella Shaffer had just completed. That’s why, years later, being invited to be part of the discussion about change in the elderly care field of Lebanon is rewarding, humbling and surreal! It is surreal because this is a country where any interfaith activity or initiative presents a formidable challenge, if it is at all possible. Growing up during the many years of civil war, religious militias fought each other, kidnapped civilians based on religion, and looked only after their own communities. In the 25 years that followed the official end of the war, religious differences have been only tolerated, mostly if dictated by foreign countries or forced by local powers. 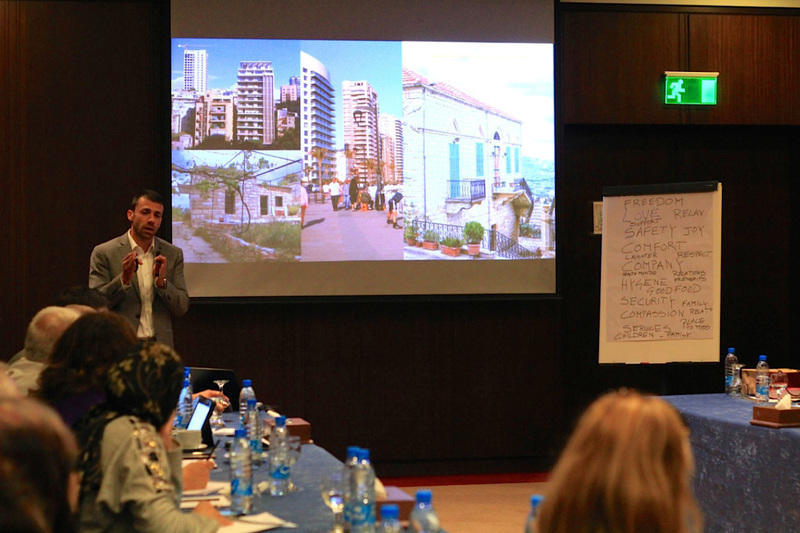 If we no longer see the scars of war on buildings in Beirut, they are still visible beneath the surface of the Lebanese society. That’s why I was positively impressed and pleased to find a young, ambitious Interfaith Group of collaborators whose main goal is to work together to better serve the elderly of Lebanon. 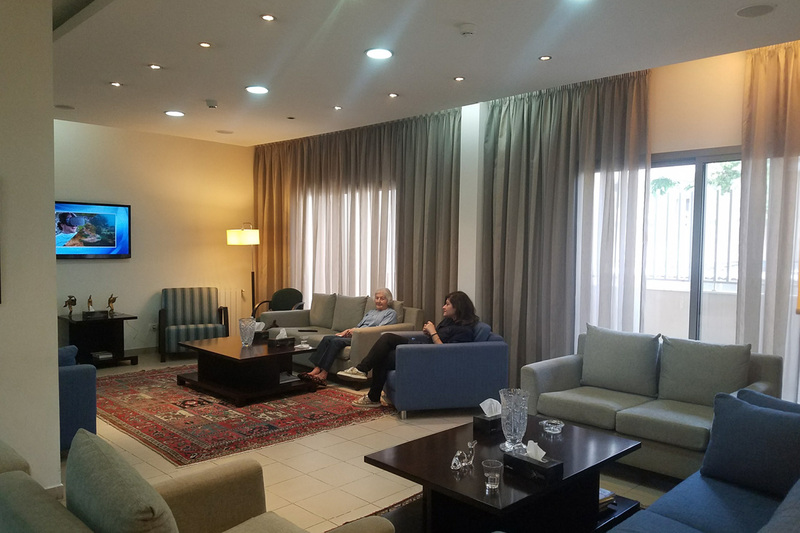 Joyce Eid, managing director of Moadieh Evangelical Center, an assisted living community in Beirut, is the power behind this Interfaith Eldercare Group. A nurse by training, she started her new position by connecting with foreign organizations to learn how best to serve the elderly of Lebanon. Palm Village Community in California and its CEO David Reimer have been welcoming to her, and have guided Joyce in acquiring the knowledge and skill set to lead this Interfaith Eldercare Group. The group is composed of nine religion-based elder care organizations representing eight religious communities: Druze, Shiite Muslims, Sunni Muslims, Armenians, Greek Orthodox, Maronites (Eastern Catholics of Mount Lebanon), the Latin Catholics (Roman Catholics of Lebanon), and the Evangelical Church of Lebanon. 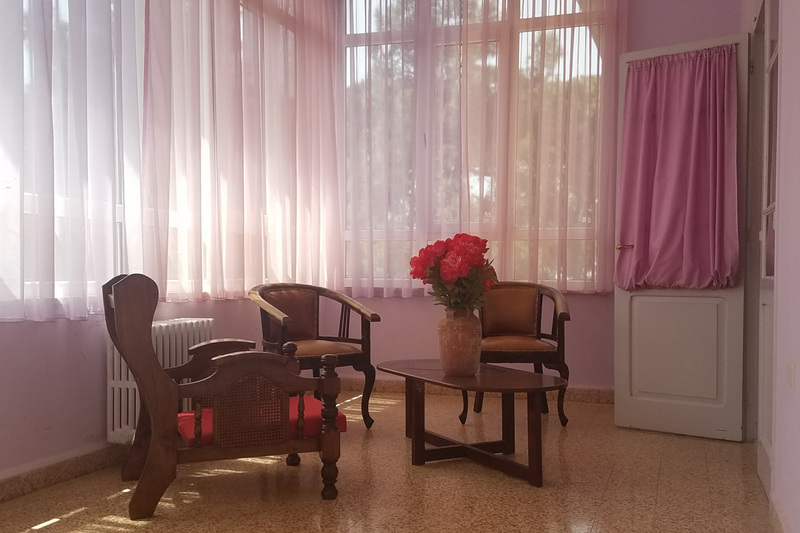 After meeting for the first time in Cyprus in 2015, this Interfaith Eldercare Group, not yet incorporated, has since visited each other’s communities, learning from one another, referring residents to one another when appropriate, and even developing Memoranda of Understanding for future collaborations. I started working at DiMella Shaffer as a graduate architect with no desire to work in senior living. A few years later, I found my calling to this field after being assigned to the large project of repositioning Orchard Cove, a Life Plan Community in the suburbs of Boston. Since then I have dedicated almost 10 years of my professional career to learning the best and most innovative practices in designing for seniors. As my friend Aline Russotto told me once, none of us chooses the senior care industry; we somehow stumble upon it, fall in love with it and became its best advocates. This also seems to be the case with the many dedicated people I met on my trip to Lebanon. As an architect focusing on the design of aging communities, I was asked to share my personal professional experience and also the latest senior living development strategies, including Dr. William Thomas’s Green House Model and its many adaptations. I shared my perspective on the residential model in senior housing, provided a guiding approach to focusing on wellbeing and independence through design, and also focused on the local demography of an incoming senior population boom (different than the US baby boomer population). I was accompanied by two other speakers: Nadeem Abi Antoun, a Lebanese expatriate Chief Operating Officer of Presbyterian Homes in Chicago, and Rick Stiffney, Chief Executive Officer of Menonite Health Services. We were scheduled to tour two communities the first two days, and then gather for the conference at Mzaar Intercontinental Resort over the weekend. The setting, away from the city life and away from the different organizations’ territories, was purposely chosen so the gathering was closer in nature to a retreat, a time of learning and sharing. During the tour of Hamlin Home of the Evangelical Church in Hammana, perched at a 900m altitude 35 km east of Beirut, I was observing the desire of Sanaa Koreh, director of the community, and Reverend Suheil Saoud, Pastor of the community, to change the perception and stigma of the elder care industry in Lebanon. Hamlin even bears a double stigma as it was founded by American missionaries as a tuberculosis hospital in the late 1800s. The building benefits from 4m-wide glazed corridors leading to the individual bedrooms and an uninterrupted view to the nearby mountains and agricultural fields. With little means available for capital improvements, Sanaa has made a huge impact on the renovated floors. The airy light curtains filter a beautiful mid-morning light into this newly furnished veranda-corridor. The glazed double bedroom doors were naturally held open allowing for air movement and natural light penetration, and residents can come in and out as they please. It was renovated to reflect the mountain living of Lebanon at the time of the Grand Hotels that were dispersed in the Lebanese mountains. These structures were built in concrete and stone, had marble or mosaic (terrazzo) floors and featured open airy living spaces. They were summer homes for Beirutis of the beginning and mid-20th century who were escaping to the mountains to avoid the heat of the city. Left: Hamlin’s first building, erected in the late 1800s, to care for tuberculosis patients. Right: Hamlin courtyard. Left:Preparing our lunch at Hamlin. Right: The view from Hamlin. The previous day, we visited a different model of elderly care, Ain Wazein Medical Village. The community adorns a hilltop in the Chouf Mountains of Lebanon, 48 km from Beirut, in the heart of the Druze Community. 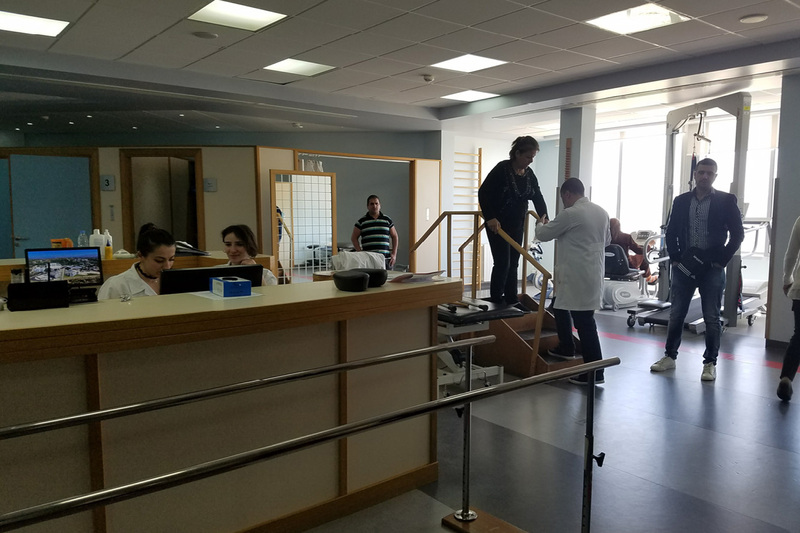 When we first walked into the main lobby, after the initial conversations with its general manager Dr. Zuheir al Murad, we were told that the mission of Ain Wazein Medical Village expands beyond its geographical boundaries and its immediate Druze Community. It is an organization that aims to serve the elderly of Lebanon, its sick and its handicapped. I was then reminded of the old Chinese proverb, recited by Gandhi and later Hubert Humphrey. Ain Wazein started as an elderly home and expanded during the war time into a hospital serving its immediate community. With a vision beyond its boundaries, it developed a medical continuum of care from primary to acute care. Its mission to care for the elderly is still guiding its evolution through its expansion. It has on staff three gerontologists (30% of Lebanon’s gerontologists, no joke), one of them being the hospital’s primary care physician. The community has completed phase one of its expansion of elderly housing wings, with two floors of skilled nursing beds arranged around a light well/courtyard, following the medical model. I met Waseem, a resident, who showed me her room, a photo of her long past mother and introduced me to her roommate. What struck me most about Ain Wazein was an energy that captivated me as soon as we arrived. It was the enthusiasm of all the people–staff and management of the organization–wanting to serve the elderly resident population in the absolute best way they can; this attitude begins with their welcoming mission, and extends to their desire to always do better and to the respect they have for the all the residents. Left: Organizers (Joyce Eid, David Reimer, Amal Rasamny) with Presenters (Nadeem Abi Antoun, Philippe Saad, Rick Stiffney) by a millennial cedar tree at the Chouf Cedar Reserve. Photo credit Julie Pimentel, Celeste/Daniels Advertising and Design. Right: Chouf Cedar Reserve. We did not formally visit Moadieh Evangelical Center but it was a meeting point for all the group’s activities. I took the initiative to walk around one morning when I arrived early to the tour. The center houses 30+ bedrooms and three one-bedroom suites. The center is a reflection of Joyce’s hard work to provide a home for the residents she serves. The building’s small floor plate accommodates a household per-floor, with a living room shared by seven residents. The top floor has a larger living room with TV and a dining room. The spaces are furnished as urban Beirut homes, with a contemporary feel. Understanding the importance of creating a strong bond amongst the members of the Interfaith Eldercare Group, and respecting the varied traditions of religious groups represented, some being more conservative than others, Joyce Eid purposely invited spouses on the trip. 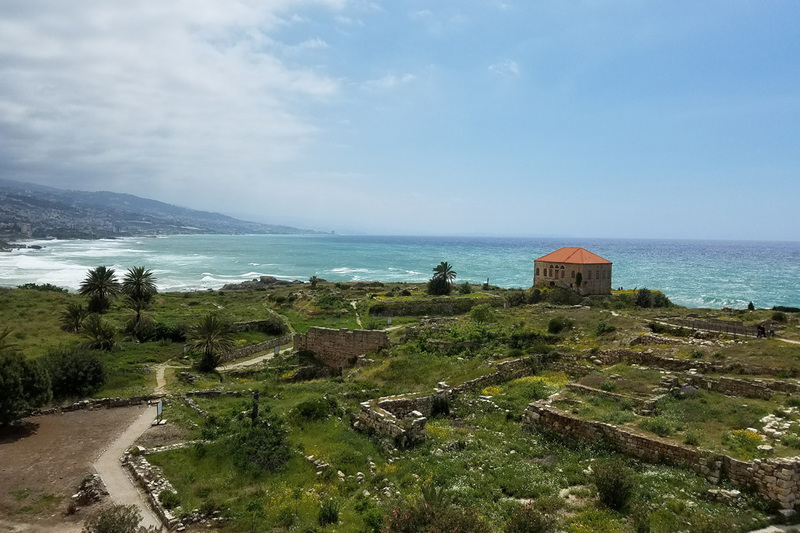 On the last day of the conference, a leisure excursion was scheduled to tour the millennial city of Byblos followed by a traditional meze meal by the Mediterranean – It was in Byblos that the alphabet was said to have been invented, a common pride of all factions of Lebanese society. Throughout the trip, but in particular on this last day, I observed the jovial and friendly atmosphere amongst all attendees. Trust continued to be built amongst one another; sincere interest in the other’s struggles and successes was growing; and above all there was a noticeable desire to continue investing in this journey together. The group agreed that the next steps would be to become a legal entity in order to have a louder voice to advocate for change with concerned lawmakers and legislative bodies, and to work together as an organization. Get in touch with Miami nursing home abuse law firm to seek justice for injured and abused members of your family. I was humbled in this last trip to Lebanon, as I was asked to serve my native country. I saw aspects of the Lebanese society that I had forgotten and was reminded that caring is a universal skill and duty. During my presence at the Interfaith Eldercare Group Conference, I shared what I know, but most importantly I learned about the energy among the members of the group and the desire of the different religious organizations to collaborate. In America, collaboration is the backbone amongst the not-for-profit senior care providers, through organizations like LeadingAge. In Lebanon, collaboration is rarely part of any business, marketplace or strategy of organizations serving similar targets, let alone an interfaith collaboration. I have so much enjoys these fascinating posts over the past year or more. I hope that someday you publish them do I can get a copy. Arnold, We appreciate you following along. In fact we are publishing a book of the Inaugural year posts on the history of the firm. It should be out later this year. If you send your email to Info@dimellashaffer.com, we will reserve a copy for you. Thanks.